You're an engineer. You create the future. But first you've got to get in through the door. Between you and that bright, shining future sits a stack of engineering resumes 300 deep. You're a needle in a haystack. It's time to magnetize you. First you'll need a creative engineering resume that stands out from the pack. Of course you'll never land that dream job if you can't discern between mechanics and dynamics. That said, the best engineering resume comes down to what you choose to show. An engineering resume example better than 9 out of 10 other resumes. How to write an engineering resume that will land you more interviews. Tips and examples of how to put skills and achievements on an engineering resume. How to describe your experience on a resume for an engineer to get any job you want. Here's a sample resume for an engineer made using our resume builder. Engineering Resume Example - See 20+ resume templates and create your resume here. What's the Best Engineer Resume Format? That's one of the top engineering skills. In other words, format matters for a professional engineering resume. That's true even if you built the warp drive on the Enterprise. Use a respected layout like the reverse-chronological format. It shows all your best achievements first. Choose clear, legible fonts and headings. Use white space to create pit stops. Finally, save your professional-looking engineering resume in PDF format. Why? Other layouts like .doc can scramble across different platforms. Just make sure the job offer accepts them. Pro Tip: Keep entry level resumes for engineering to one page only. For those with more experience, 2-3 pages is best. Want to road test other formats for your engineering resume? See our guide: "3 Resume Formats: How to Choose the Best One [Examples]"
Meet the recruiter. Her name's Sharon. She's at her desk. She's pulling out her hair, because she's got 400+ resumes for engineers in her computer, all the same. Like most recruiters, she spends six seconds looking at each one. Then she gets to yours. She slows. She actually reads it. Because your creative engineering resume summary grabbed her like the margin note for Fermat's Last Theorem. Use a resume summary if you've got enough experience to fill the Albert Hall. Use a resume objective if your work history is full of holes. Or if you're writing an engineering student resume. Mechanical engineer with nine years experience. Skilled in leadership, collaboration, lean manufacturing, and manufacturing design layout. So what's wrong with that? Nothing, if you want your engineering resume to look like all the rest. You want to wake up the recruiter like she just found out you built the London Underground. Energetic mechanical engineer with 9+ years experience. Seeking to use proven process and production design skills to advance manufacturing excellence at Boeing. Increased production efficiency by 35% at Raytheon IADC. Decreased costs 28% and cut lead times by 22%. Lowered defects 32% department-wide. Spearheaded the team that received the Shingo Prize in 2017. Wow, right? Who wrote that engineering resume? Steve Wozniak? Don't have that kind of experience? No worries. I'll show you how to make your own resume summary just like it in a bit. Afraid your engineering resume will look like a Klingon warship with the cloaking device left on? Take heart. Start with an engineering resume objective statement. They're for entry level engineers, or people seeking a new niche. They also work for engineering student resumes. Engineer with BS in mechanical engineering. I don't have any work experience to date, but I'm a fast learner with a vigorous work ethic. Not awful, right? Neither is the Channel Tunnel, but that missed, too. That's not just any college student engineering resume summary. That could be the next Elon Musk. Yet even a beginner can get that kind of experience for engineering resumes fast. How? Google "freelance mechanical engineering jobs." Writing a civil engineering resume for freshers? Search "freelance civil engineering jobs" instead. Pro Tip: Lots of engineers on Reddit say they sent in 200+ resumes before they got a job. 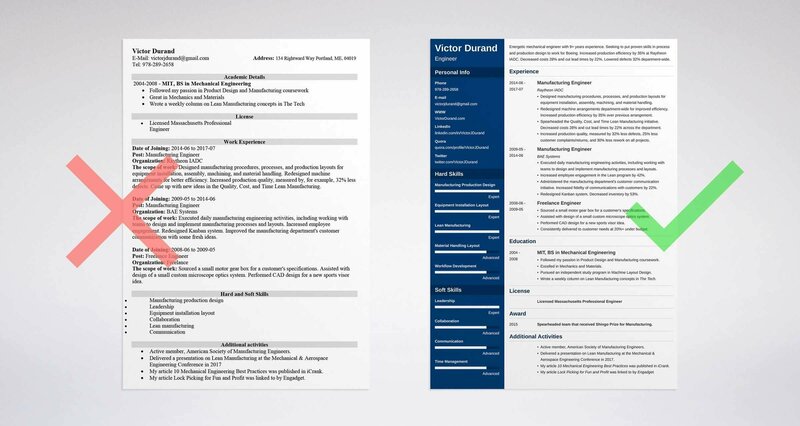 To save time, make your own engineering resume templates. Then customize them for each job description. What matters most to her is competence. You need to prove you have it. Do it with the experience section of your engineering resume. The main point here is relevant experience. Let's look at what that means. If I'm applying for a job as a mechanical engineer on the Death Star, relevant experience is things like beam weapon development, superstructure design, or past work building fatal flaws into gigantic systems. But if I want Scotty's job from Star Trek, I'll need to show a knack for recrystallizing dilithium, calibrating transporters, and performing engineering miracles in half the expected time. That means each resume for engineers is fine-tuned for each specific job offer. So, start with the engineering job description. Jot down all the qualities the company is looking for. Then, show your last job first. Add 4-6 bullet points that prove you have those qualities. Cram them full of measurable achievements. Check out the next of our engineering resume examples. Take a look at an engineer resume sample that outperforms the rest. Designed manufacturing procedures, processes, and production layouts for equipment installation, assembly, machining, and materials handling. Redesigned machine arrangements department-wide for improved efficiency. Increased production efficiency by 35% over previous arrangement. Spearheaded the Quality, Cost, and Time Lean Manufacturing initiative. Decreased costs 28% and cut lead times by 22% across the department. Increased production quality, measured by 32% less defects, 25% less customer complaints/returns, and 30% less rework on all projects. Wow, right? The recruiter just stopped playing with her desk catapult. Look at those metrics. Check out those details. It disintegrates the next of our engineering resume examples. Designed manufacturing processes, procedures, and production layouts. Oversaw equipment installation, assembly, and machining. Redesigned machine arrangements for improved efficiency. Increased production quality for manufacturing. That is just so Skylab, right? But all it needs to put it in sustained orbit is a few details and numbers. What if you don't have details? Take heart. You can still write an effective resume for engineers. Want to know how to write an engineering resume for an internship? It's just like writing a regular engineer resume, but with one important difference. You'll improve your chances of getting the internship if you scrape up a tiny bit of experience first. Do a few one-off jobs. Paid research is enough. Work cheap or free on a couple of short projects. Volunteer a day or two. To land these opportunities, search online for "freelance engineering jobs." You might spend a few days working for peanuts, but you'll come out the other end with a NASA-level engineering resume. 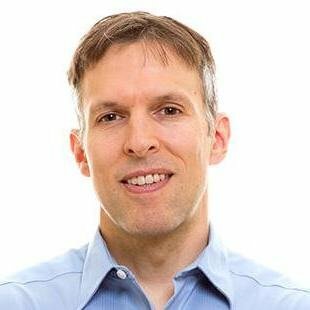 Engineer Experience: No real world experience yet, since I just graduated from college. Yuck. Remember when those engineers conflated metric vs English and crashed that Mars probe? But look at the next of our engineering resume examples. Sourced a small motor gear box for a customer's specifications. Assisted with design of a small custom microscope optics system. Performed CAD design for a new sports visor idea. Consistently delivered to customer needs at 20%+ under budget. That's more like a proto Nikola Tesla than an engineering fresher. Yet it only took a week or so to build that kind of experience for an engineering resume. Don't discount internship experience either. Show it just like a regular job. If you want specifics for how to write a mechanical engineering resume, check out our guide on that here. Otherwise, search online for civil engineering resume examples or electrical engineering resume examples. Pro Tip: Don't have enough experience to fit the offer? Rejoice. Jobs that say "5 years" will often take the right candidate with 1 or 2. And "1-2" can often mean an internship. Don't bore recruiters with staid language. Excite your engineering resume to a higher state with action words. See our guide: "+80 Examples of Resume Action Words for Every Profession"
Let's get back to Sharon. Our recruiter. For education, she just wants to see "BS." Right? It's like saying a car needs four wheels and an engine, then expecting people to ignore Ferraris. But add details that match the job description. Here are a couple more mechanical engineering resume samples. Passed all curriculum classes in engineering. That's bare bones. Like, Hubble-Telescope-Original-Lens material. But let's add some relevant details. Followed my passion in Product Design and Manufacturing coursework. Excelled in Mechanics and Materials. Pursued an independent study program in Machine Layout Design. Wrote a weekly column on Lean Manufacturing concepts in The Tech. That's as engaging as a set of lightsaber specs. But anyone can make a resume for engineers like that. All it takes is brainstorming, then fitting past achievements to the engineering job description like a laser-measured U-joint. Pro Tip: For engineering students, networking is king. Go to job fairs, talk to advisors, professors, friends, and acquaintances. You never know where that great career is hiding. Want your engineering resume to get attention like Da Vinci's notebooks? See this guide: "How to Put Your Education on a Resume [Tips & Examples]"
So far your engineering resume is firing on all cylinders. But you can coax more out of it. It needs to latch onto the job description like a facehugger from Alien. So, we'll slave each of your bullet points to a skill shown in the posting. Create a master list of all your skills. Even if it's lubricating the chain drive in a CNC machine, toss it in the list. It'll be too long to put on a resume, but we'll deal with that. Next, list all the skills shown in the job description. Last, prove the skills in your engineering resume's experience and education sections. Let's say the job description values leadership, collaboration, production design, and lean manufacturing. Put those on your resume for engineers. Then add a couple more like communication and process layout. Why? Because if you're too exact, you're pandering. Executed daily manufacturing engineering activities, including working with teams to design and implement manufacturing processes and layouts. Increased employee engagement in the Lean program by 42%. Administered the manufacturing department's customer communication initiative. Increased fidelity of communications with customers by 22%. Redesigned Kanban system. Decreased inventory by 53%. There. You may as well have built the Three Gorges Dam. Need some sample skills to launch your engineering resume? Start by looking at the hard and soft skills below. Then troll job offers online to find more. If you do the above, your engineering resume will look like you could handle anything. That includes changing the solenoid on the Space Shuttle or redesigning Dubai's Palm Islands. Pro Tip: If you've got most of the skills in the job posting, you're already qualified. It's better to be slightly under qualified than over. Companies love to know you'll grow with them. Need more examples for the skills section of your engineering resume? Check out our guide: "+30 Best Examples of What Skills to Put on a Resume (Proven Tips)"
You've got the summary. The experience section. The education section. They're all plugged straight into the job description. Your resume for engineers is defect free. Proof you're a well-rounded person. Remember, if it ain't broke, it just doesn't have enough features yet. Everything in extra sections should make the case that you can walk the talk. A resume from engineers should allow for zero waste. Check out the sample engineering resume section below. The first part shows how to show your license on a resume for engineers. 2015 - Spearheaded the team that received the Shingo Prize for Excellence in Manufacturing. Active member, American Society of Manufacturing Engineers. Delivered a presentation on Lean Manufacturing at the Mechanical & Aerospace Engineering Conference in 2017. My article 10 Mechanical Engineering Best Practices was published in iCrank. That's a pretty next-level list of engineering resume achievements. Don't panic if it doesn't sound like you. Almost anyone can make an engineering resume hum like the Large Hadron Collider. You just need to dig a little. Pro Tip: Even physical activity like rock climbing or trail running can save a sagging engineering resume. As a bonus, you can make networking connections while doing them. Want some tips to make the perfect hobbies section for your engineering resume? See this guide: "+20 Best Examples of Hobbies & Interests To Put on a Resume (5 Tips)"
60% of the time, that's true 100% of the time. The other 40% you need a cover letter. Unless you know which is which, write one. Make your engineering cover letter personal. Start with the recruiter's name. Make it relevant. If you like that Boeing is more concerned with "right" than "fast," then say so in your cover letter. Then link your cover letter to their needs. Mention a couple high points from your resume that match the job. End your cover letter with a call to action. Say something simple like, "I'd welcome the chance to talk with you about your needs." So, how important are cover letters? Very, to almost half of all recruiters. This is all the more relevant to entry level engineers. Cover letters matter. Don’t take any chances, write one for each and every application. Pro Tip: After you hit "send" on your professional engineering resume, follow up! A follow-up email can be just the thing that puts you top-of-mind. Putting contact info in a resume for engineers isn't what you think. You'll also want to give the recruiter some way to see you as more than just a sheet of paper. Something beyond a resume for engineers. Do that by adding social media handles. Include your LinkedIn address, Twitter handle, or Instagram. Make sure that picture from the ASCE conference in Duluth two years ago doesn't come back to haunt you. Use our guide to cleaning up your social media presence here. A personal portfolio site is another great add-on for an engineering resume. Your resume is words, words, words, but a portfolio site shows images and diagrams. Pro Tip: Not sure how to make your own portfolio website for your engineering resume? Google it for dozens of examples, or see this article for tips. Want more tips for how to build the best engineering resume you can? See our guide: "How to Make a Resume: A Step-by-Step Guide (+30 Examples)"
Know you'll need to send out 200+ engineering resumes to get that perfect job. You'll have to tailor each one to every job description. 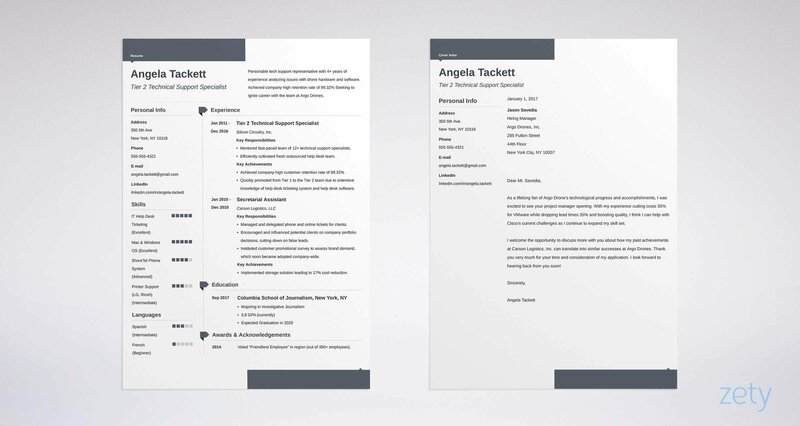 Build your own engineer resume templates to streamline the process. Fit your engineering resume to the job posting like an Oldham coupling by picking the right skills. Build a skills list from the offer. Then prove you have those skills by showing relevant experience. Use numbers to add metrics to your achievements. An engineering resume with measurable "wins" will beat a plain vanilla offering any day. Got questions or tips about how to make a great engineering resume? Give us a shout in the comments section!